This year, medals were won in 9 sports including swimming, bowling, fencing, athletics, judo, table tennis, beach volleyball, tennis and taekwondo; with gold won in taekwondo, tennis, swimming and bowling. 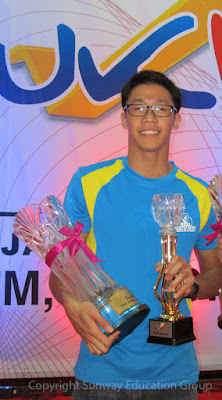 Doubling the joy, Sunway College’s ACCA student and swimmer Chan Jie was named the overall ‘Sportsman of SukIPT 2016’ with 4 individual gold and 3 relay bronze medals. He also took home trophies and a return ticket to Bali, Indonesia. Chan Jie also broke 3 games records in the 50m butterfly, 50m freestyle, and 100m freestyle swimming. 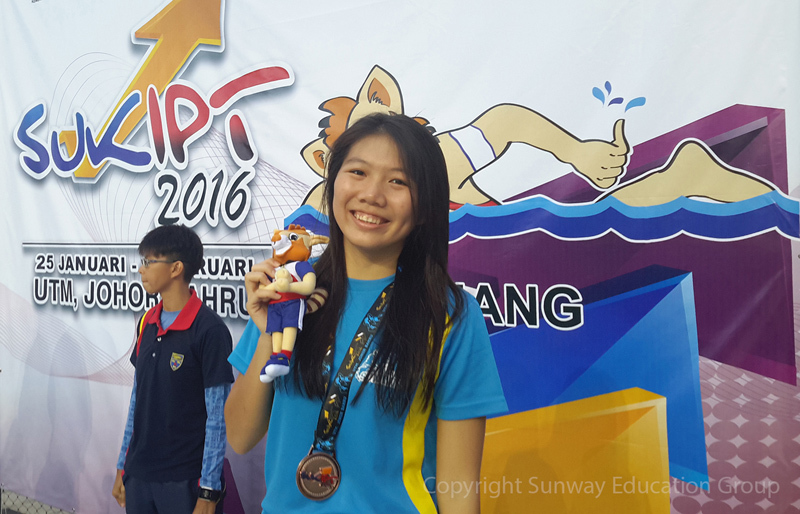 Sunway University’s Chan Jie - ‘Sportsman of SukIPT 2016’. Dr Lee Weng Keng, Chief Executive Officer of Education and Healthcare Division of the Sunway Group, and Dr Elizabeth Lee, Senior Executive Director of Sunway Education Group, are proud of the team’s amazing achievements, and encourage the team to keep up their efforts. On the first day of the games, Yap Shi Qian, Sunway University’s BSc (Hons) in Accounting & Finance student, displayed the true spirit of sportsmanship by playing fair in her 800m freestyle heat. During the competition, the organiser’s miscalculation of 100m shorter swimming distance initially placed Shi Qian at first. Shi Qian reported the issue and was then arranged to swim a second time but this time in full 800m, in which she finished in 3rd placing with much dignity & integrity. The victorious performance in SukIPT is one of many accolades Sunway University and Sunway College have achieved, further proving that the institutions under the Sunway Education Group provide well-rounded quality education. 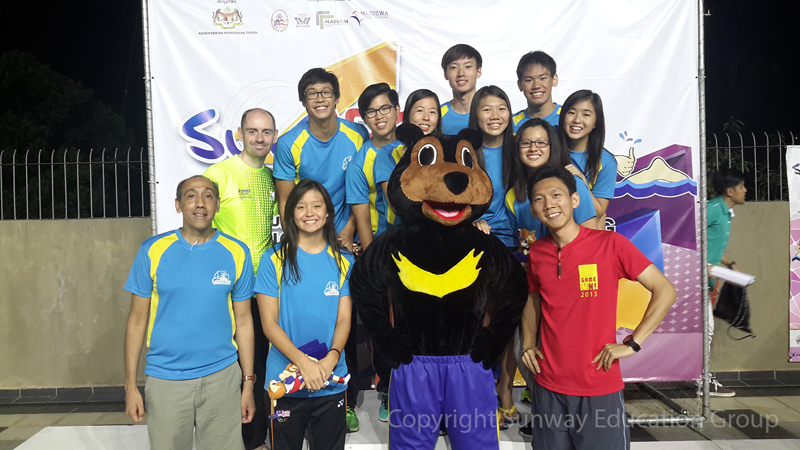 Sunway swimming team who won 14 Gold, 9 Silvers and 7 Bronze medals overall. Sunway University is an overall four-star QS rated university while Sunway College is awarded 6 stars in the college-based rating and general programmes cluster in Malaysian Quality Evaluation System for Private Colleges (MyQUEST). Their graduates are highly sought-after, in which Sunway University and Sunway College were ranked No 1 for Employability in Asia by the Student Barometer Survey Entry Wave 2014.